In September, Sellen’s crews wrapped up work on Madison Centre, a new 37-story, 760,000-square-foot office building in downtown Seattle. The office building offers a number of high-end features, including a three-story rotunda with a glass canopy, providing abundant sunlight, as well as a grand gas fireplace covered in hand-selected natural stone. A 45-foot living botanical wall with a custom water feature rounds out the building’s most visually striking space. 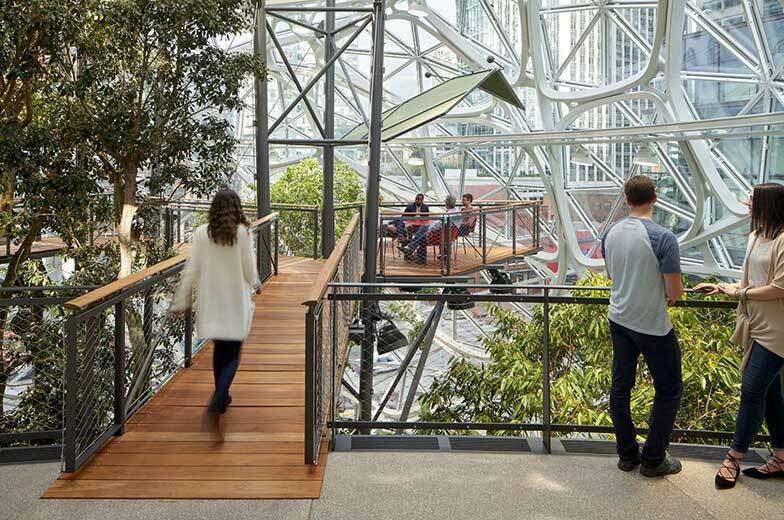 In addition to the rotunda, Madison Centre includes a custom helix entryway stair; a coffee shop; 19 high-speed Otis elevators equipped with destination dispatch systems; custom mill work and basalt stone inside and out; and a rooftop terrace meeting space with stunning views of the city, mountains and Puget Sound. Sellen partnered with owner Schnitzer West and architects NBBJ, HKS and BAMO on the project.